The festive Sunday afternoon was preceded by weeks of preparation. Auxiliarist John Parish rattled off the tasks that had been completed during the past month: a deteriorating south porch was torn down and re-built using a fresh design and new materials, the base building had been cleaned and obsolete materials discarded, water service had been restored following the long winter, docks buckled by lake ice were repaired, grass was mowed, and weeds were whacked. Anticipation for the boating season was evident. Auxiliarist Matthew Jennings emphasized Base Commissioning Day as a unifying force for the Flotilla and its partner agencies. Karen Beehm ready the American ensign. 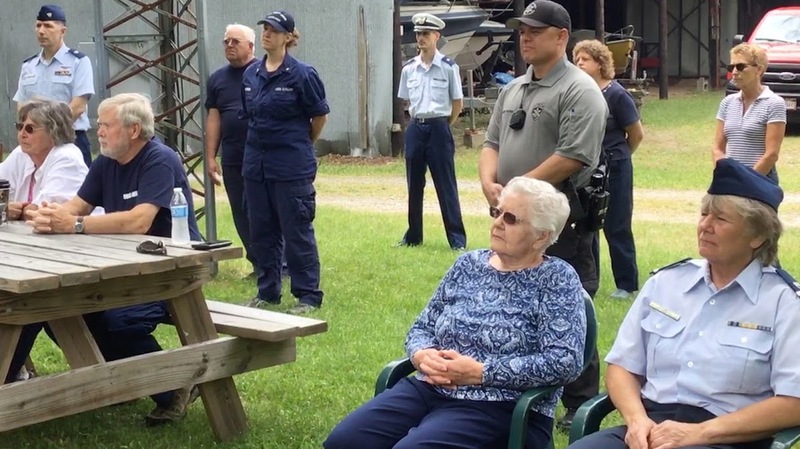 At just past 1 p.m. Flotilla Commander John Conroy stepped to the lectern on Base 26’s new south porch and asked attendees to take their seats. As if on cue, the sun began to peek through the cloud cover that had dominated the morning. Immediate Past Vice Flotilla Commander Karen Beehm offered the invocation. A bell tolled twice in memory of Auxiliarists Robert Campbell (Flotilla 26) and Thomas Callender III (Flotilla 2-14) who crossed over the bar during the past year. A third strike of the bell honored all armed services members who had passed away. Conroy spoke about the history of the U.S. Coast Guard Auxiliary, which began in its current form in 1941, and Flotilla 26, which this year kicks off its 62nd boating season. Conroy stressed the vital role that training plays. speaker at Base Commissioning Day. 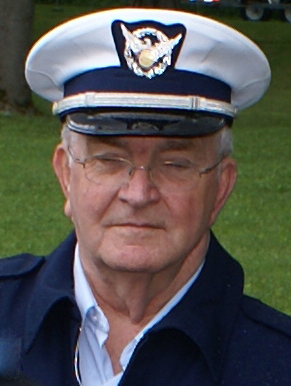 Central New York’s Division 2 Vice Commander Bill Cummings sent greetings from Division Commander Gene Little and thanked Flotilla 26 for its dedication and hard work in support of Team Coast Guard. Sheriff’s Lieutenant Paravati expressed his agency’s gratitude to Flotilla 26 members for their partnership, camaraderie, and dedication to marine safety. Following the ceremony attendees broke for a potluck lunch. Hamburgers, hot dogs, pasta salads, sausage rolls, casseroles, dips, soft drinks, brownies, and pies packed the galley. 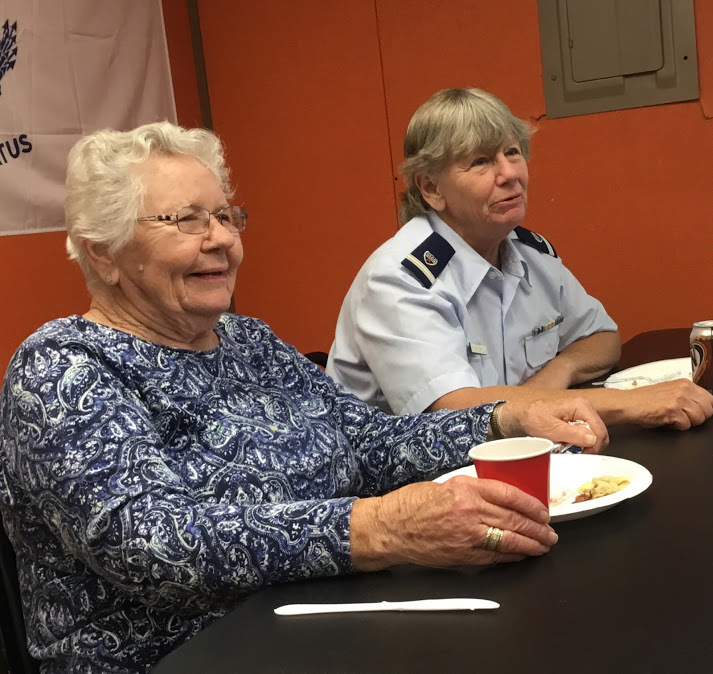 As members of Flotilla 26 tucked into their meals, they shared plans for the summer. Lou Cummings said she was particularly looking forward to Harborfest, an annual event near Coast Guard Station Oswego. John Parish stressed the importance of seeking out and recruiting new members in the coming months. Bill Cummings, who recently was certified as a Coast Guard Auxiliary financial educator, speculated that he might return to Station Erie or Station Oswego at some point to hold seminars on the Coast Guard’s new Blended Retirement System (BRS). 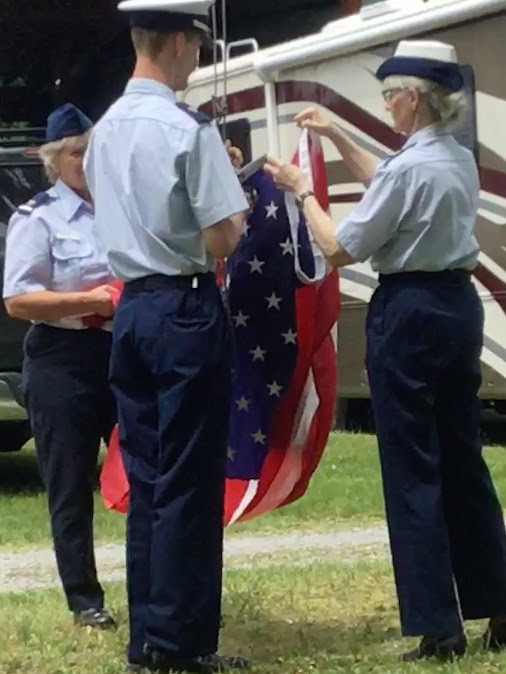 By 3 p.m., with the base opening celebration nearing an end, Flotilla 26 members were finally ready for something that they all had expected to show up. moment during fellowship on Base Commissioning Day. The 2018 boating season had arrived.